The Thomson Elite X2 road stem is a work of art that has been precision machined from solid one-piece aluminum by Thomson in their Macon Georgia USA factory, with a keyed two bolt front clamp design that which is as elegant as it is strong the Elite X2 stem not only looks beautiful but is strong and super-stiff offering precise steering tracking and more control while riding. With a light 2-bolt handlebar clamp the interlocking handlebar clamp of the X2 makes it as torsionally strong as other 4-bolt designs while being lighter and narrower. The X2 features a low 36mm stack and can be run with a positive or negative rise with the reversible graphics right either direction. Got a new bicycle. First thing is first: proper cockpit. All Thomson, only Thomson. In this case an X2 (road) stem 110mmx10deg combined with a Thomson Alloy Handlebar. I only ride Thomson stem, bars, seatpost, clamp. 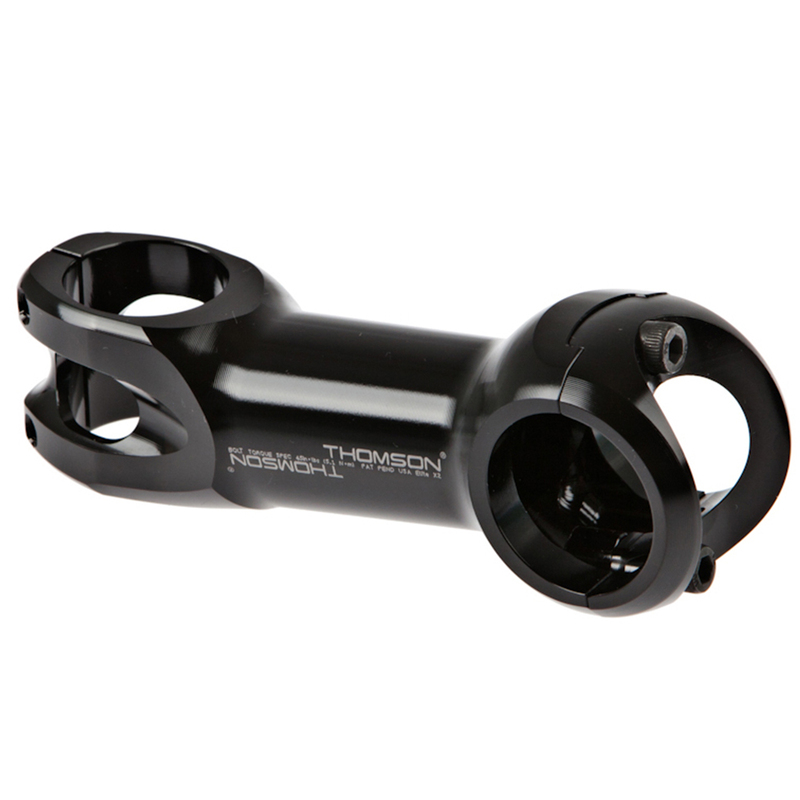 This stem is lightweight, stiff, has excellent clamp force and is very good looking to boot. Looks amazing on my cannondale black inc. matches the gloss black top tube perfectly. The build quality is top notch.